We recently caught up with Greensleeves recording artist Gappy Ranks. His latest album 'Put The Stereo On' has been receiving rave reviews from across the globe. It did not take long to realize that he is a very focused professional that is determined to succeed not only as an artist but also as an entrepreneur. He showed a maturity that goes well beyond his 27 years. 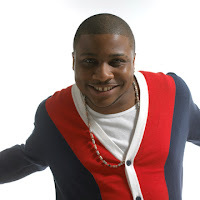 A man with talents the likes of Gappy Ranks (read on and you will see he has many!) is definitely going places! R.R.- Where were you born and what was it like growing up there and how important was music? G.R.- I was born in a part of London called Harlesden. My father is from Jamaica and my mother is from Dominica so music was always in the household, especially reggae music, and in the community in which I lived in which is a 95% Jamaican area. It played a very important part of my life but it wasn’t easy growing up in London as both of my parents were immigrants to the country. We still had to go through that hard background. Reggae music on a national level, it wasn’t the top seller and especially where I came from there was a lack of producers. They declined from the area after so much years and history. I had to find a way to get out myself. So I would go to fun days and night clubs and deejay. I joined a group in 2002 called Suncycle. I left that in 2004 because I wanted to become a solo artist. I thought I had more to offer than 16 bars and 8 bars. But, I learned a lot there. I left the group on good terms. I learned studio engineering and 98% of my stuff I engineer today. G.R.- Definitely. It was one of the avenues that we have to go through especially in the UK because of lack of producers and just media attention and eyes on the world. It never was like that because a lot of greats came to record there from all different genres of music but now it’s looking promising again. R.R.- Speaking of looking promising, the Peckings production crew. What lead you to them? How did that relationship come about? G.R.- I was doing some work in the studio with a producer called Cool Hand Luke. He actually knew the Peckings syndicate. They heard I was in the studio and they had heard of me. At that time I was doing a lot of dancehall tracks. Actually, first of all they came to give me dancehall riddims. But, a later session after that I was in the studio with them and I had them voicing an artist called Bunny Lie Lie and I asked them, I said to them “you should be giving me these riddims…Studio One riddims, man, I can handle them.” and it’s like “You sure?” I said “Come on man, I love this music.” They gave me two riddims that day, the ‘Soul Rebel’ riddim and the ‘Mountain Top’riddim. I recorded ‘Heaven In Her Eyes’ and ‘Mountain Top’ on the same day. So ever since working with them it’s been tremendous. R.R.- You can definitely tell that you love those riddims and that you can handle them! Am I correct in saying that’s how ‘Put The Stereo On’ came about? G.R.- Definitely. As I said, I remember when music was playing on a Sunday, especially on a Sunday because every other day was a working day for my parents and me and my siblings were at school.. Even at the saddest times, when music was played in the house it bring everybody together. I think everybody can relate to that no matter what culture you grew up in. Music is a bigger form of communication and it brings people together. It’s very relevant on this album that’s why I said ‘put the stereo on’ and I touch on topics like ‘Mountain Top’, ‘Pumpkin Belly’, and things like that. R.R.- Tell me a little bit about ‘Musical Girl’. G.R.- Well, ‘Musical Girl’, I wrote that song..I used to remember listening’ to pirate stations…there’s a lot of pirate stations in the UK. You’ll have a certain female maybe calling the radio station all the time for requesting a song or she loves to be around the artist, the whole musical experience..That song is for the females out there like that. That’s why I called it ‘Musical Girl’. It’s happening out there and it’s today. I was writing it from a positive standpoint. She’s trapped instrumentally, trapped by the instruments, trapped by the love of the music. R.R.- One thing that really differentiates you from a lot of artists is the fact that you sing and you deejay. Usually artists do one or the other. G.R.- Yeah, well you know reggae music brings forth the dancehall and the hip hop which we all love and listen to today. I’ve always loved reggae music and that bring me in to doing the dancehall music. It’s a tradition. It’s a transition. It’s a process. I’ve always respected the foundation and it made me do the dancehall easy, especially coming from London, which is such a multicultural city. I’m really versatile and attentive like that. I love all styles of music, but as I said reggae music brings forth all the genres we love today so I find it very easy to do these things. R.R.- You’re equally adept at both. G.R.- Well, it’s all a process because everyday I’m maturing and everyday I’m learning something new on how to better myself. R.R.- What are some of your influences, past or present? G.R.- I have many influences by the songs I’ve listened to or by the people I’ve met, even more today that I get a chance to see the world and sing reggae music all around the world. It’s only Asia and Africa I haven’t been yet. I’ll be visiting those places early next year. Seeing the world and getting to know myself more, all these things influence me…things that are happening today, other peoples experiences, my experiences, all these incorporate into what Gappy Ranks sings about. I make music based on emotion so however I’m feeling that day this it’s what’s going to portray and reflect on my song. I try to keep it positive but obviously everyday’s not a happy mood. So, not all of my songs are going to have happiness and joy. I’m going to sing about my experiences and hopefully everybody can relate to it because we’re not perfect but I’m trying to stay positive. R.R.- You’re here in the states right? New York, yeah? G.R.- Yes, I’m in New York. I’m promoting the album on the east coast. I’ve been to Boston, Connecticut, Massachusetts, New Jersey, and I’m finishing off here in New York. I’ve done a lot of promo work on the west coast in the whole of California from Humboldt County to San Diego, Atlanta to Miami. I was just in Florida for the Labor Day. I visit the area quite regularly. R.R.- Any particular artist that you would like to work with, reggae or otherwise? G.R.- There’s so much good music and so much people working hard out there and making good music out there right now. It’s very hard to mention one artist or one particular songwriter. How it’s going right now, I’m collaborating with a lot of artists. I’m also producing for artists. Look out for my label ‘Hot Coffee Music’. We’re doing a lot out there right now. I’m the C.E.O. of that label. I’m hands-on in everything, from recording and production, so it’s not like I just sit back and just watch everything being done. R.R.- Are you focusing on all different kinds of music? G.R.- Yes. Definitely. ‘Hot Coffee Music’ is the aroma of reggae music. So, wherever the aroma can drift to. Maybe we’ll drift to other genres. There’s all different works we’re working on right now. I’m sure in the new year you’re going to hear a lot about ‘Hot Coffee Music’. R.R.- Anything in particular that you are listening to right now? G.R.- Right now I’m listening to Ijahman ‘Are We a Warrior’, which is a great song. I remember listening to that song growing up. Actually, he’s one of the reasons as to how I do reggae music today. Ijahman is a great artist. That’s what I’m listening to right now. It’s my ringtone. R.R.- Any talents besides making music? G.R.- Music brings lots of different avenues…especially fashion or food and other different things. So, don’t be surprised, if in the next few years, you walk into one of my chain of restaurants or you’re wearing one of my garments. Anything can happen. Any avenue that the music takes me right now, I’m happy. As long as I keep it positive and keep my shoes muddy, my feet on the ground, everything is great. I’m also a top chef, as well. I like to cook so people may want to know that about me. R.R.- Do you specialize in a certain cuisine? Caribbean? G.R.- All different foods. Going around the world, seeing different parts of the world I’m incorporating all different recipes. I make a great Italian pesto and penne pasta. Food is like music. It touches the heart. R.R.- Growing up in Harlesden, West London you must be a football supporter? G.R.- Just lately actually. I’m a West Londoner so I support Chelsea. But just lately have I become interested in sports. I remember my father really wanted me to be a sportsman and part of me rebelled against that. I’ve always loved music, and not that he didn’t know I had the potential. I think he just wanted to shield me from the dangers that the music portrayed. I think that was the part of me that rebelled against sport. But, I like sport now. I watch football and Chelsea’s my team. R.R.- You talked about your writing and how you write based on your experiences. Do you take a riddim and write to it or do the lyrics and melody come first? G.R.- No, I write to the riddim. It’s however I’m feeling that day, what emotion I’m in that will portray or compliment the riddim. That’s the art of making music. Music is a scientific art of joining vocal and instruments together. Big up to all the producers who give me the privilege. R.R.- It’s great you’re getting in to producing. Do you play any instruments? G.R.- I’m learning to play the guitar. It’s very important for an artist to play an instrument. My modern instrument is all engineering and it’s all technical now. I’m learning to play an instrument so give it a year’s time and Gappy Ranks will be performing with a guitar. 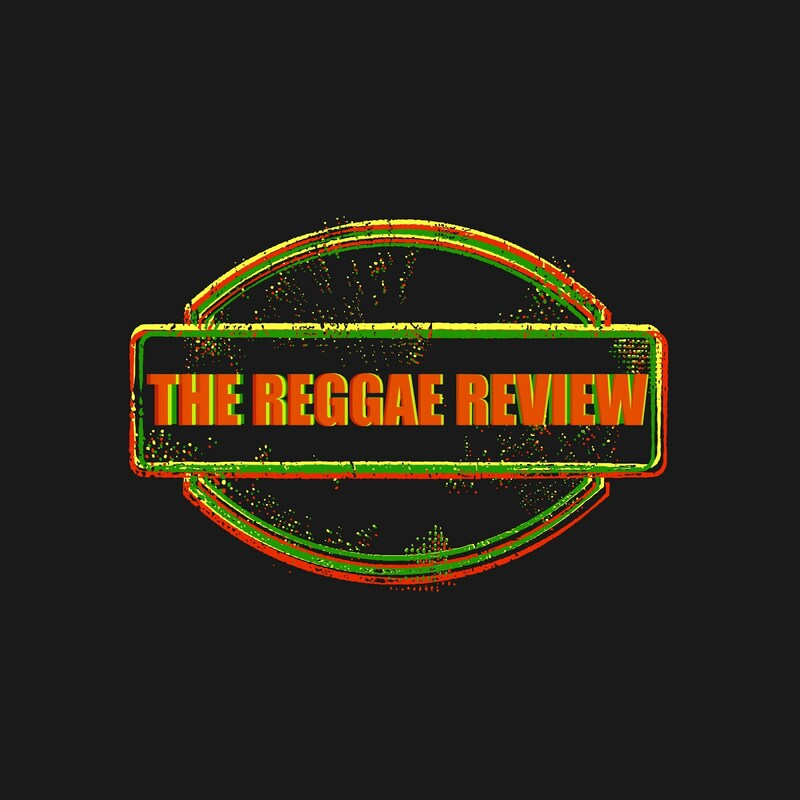 R.R.- What are your thoughts on Gregory Isaacs? G.R.- Gregory Isaacs was one of my heroes! I actually performed three times with Gregory Isaacs. I meant him on many occasions. It was a sad loss to lose such a powerful pioneer in the music business. He will always be remembered. He was one of those artists that was very versatile. Simply Red covered ‘Night Nurse’ and sold millions so it just shows you how inspiring reggae music is. R.R.- What other music do you listen to? G.R.- All different types. It’s very important to me and any artist I think to be listening to all different kinds of music. I incorporate all types. My favorite is Celine Dion. She’s such a great artist...and voice. I listen to her a lot. It could be anything from Gregory Isaacs to Alton Ellis to Al Green. It could be anybody. I love good music. I just use reggae music as my vessel, if you like, because it’s such a compatible music. It’s very important to have variety now a days. Music has no limitations.